(UPDATE) The conduct of the 2013 mid-term polls has been "generally peaceful." Thus goes the assessment of the Philippine National Police (PNP) and the Armed Forces of the Philippines (AFP) a few hours before polling precincts closed down nationwide on Monday evening. “People were able to go to polling centers and were able to cast their votes,” Tutaan said. The AFP official added security authorities are able to address reports on presence of armed groups. Tutaan insisted this despite reports of several incidents of election-related violence on polls day, which they claim are very isolated cases. Earlier, at least one person was killed while five others were wounded when unidentified men opened fire at a convoy carrying people, who were on their way to cast their vote in Panglima Estino, Sulu at around 7:30 am on Monday. Before the voting even began on Monsay, PNP Western Mindanao regional police spokesperson Chief Inspector said an explosion incident rocked the house of village chief Ruben Pepania at around 3:48 a.m. But identities and the motive of the suspects have not been identified as of posting. Meanwhile, a sub-village coordinator identified as Fernando Lopez was also reported to be wounded after being shot by one Lucas Florentino in Barangay Abra, Santiago City around 1:30 a.m. The victim was rushed to De Vera General Hospital, while the suspect escaped after the incident. 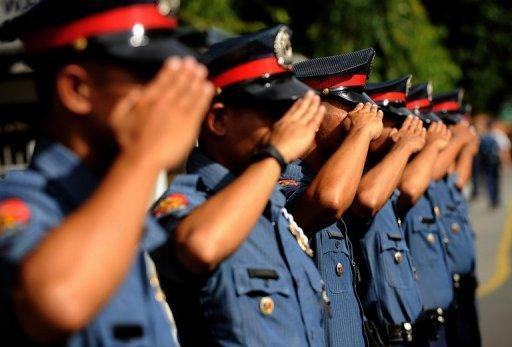 The Philippine National Police (PNP) earlier deployed police personnel to perform election duty in 77, 829 clustered polling precincts nationwide for the 2013 midterm polls on Monday. In a statement, PNP chief Director General Alan Purisima believes their early preparations are sufficient to accomplish their mission despite overwhelming odds. "Up until the last hour before the polls open at 7:00 am today, our confidence remains high that this national electoral exercise of 2013 shall emerge as the most peaceful polls ever in the history of Philippine elections," Purisima said. "We share the outlook of our Commission on Elections (Comelec) officials that the next 12 hours of voting today will be uneventful, orderly, and credible," he added. PNP is now in full alert and ready to provide police assistance to members of the Board of Election inspectors (BEI) and to the 52-milion registered voters who will troop to the voting centers, Purisima said. The PNP official assured their command and control center in Camp Crame is in constant communication with all regional directors, who are tasked to supervise local election security operations in coordination with the Commission on Elections (Comelec). He vowed that PNP will continue to enforce the gun and liquor ban even if it will be preoccupied with normal law enforcement functions and poll duties. The gun ban will take effect until June 13 while liquor ban will last until Monday night. "Your 148,000-strong Philippine National Police joins the entire nation in fervent prayer for secure and fair elections today and until after the leaders that we have elected into office shall have been duly proclaimed," Purisima said. He noted that voters may report election-related violence and incidents to PNP National Election Monitoring and Action Center (NEMAC) that can be reached thru hotlines 0915-9356-488, 0921-3229-228, (02)7255115, and (02) 7253179.